It is the longest continuously operating hotel in the state of Arizona. 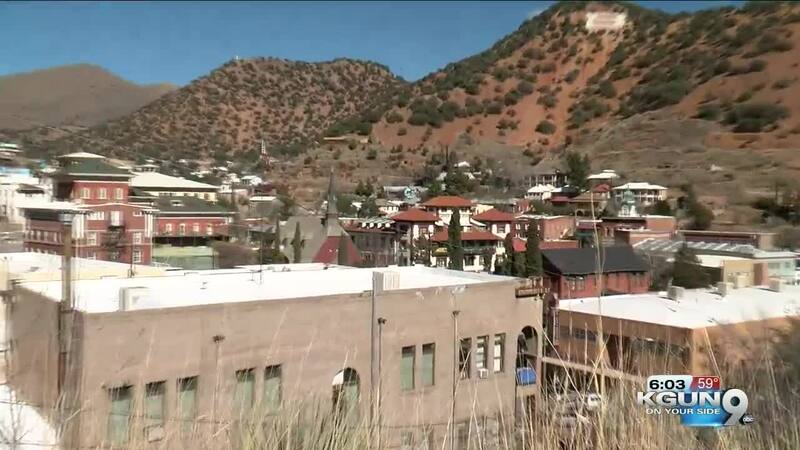 BISBEE, Ariz. — It is the longest continuously operating hotel in the state of Arizona. Opened in February of 1902, the historic Copper Queen Hotel has been in business for 117 years. Assistant Manager Matthew Fink points out there are no locks on the front door. 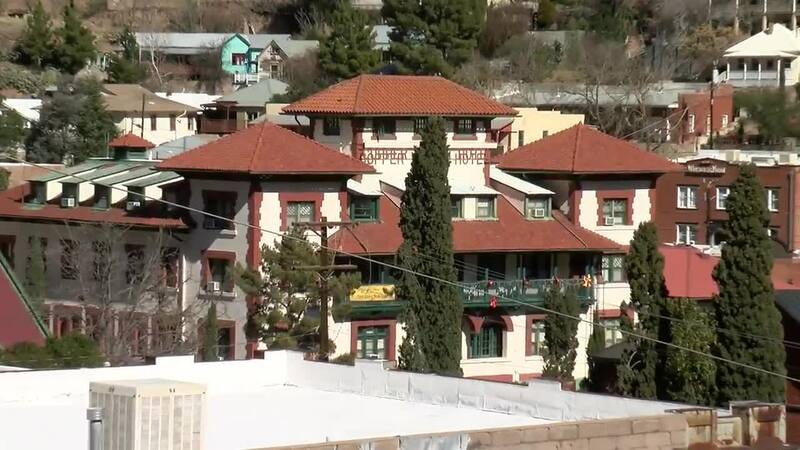 "We're the only hotel in Bisbee that's open 24 hours." Fink knows the history of the hotel very well. A history that began in the late 1890s when the Copper Queen Consolidated Minning Company decided to build a hotel in Bisbee, near its mine. "It was solely for bringing in investors and dignitaries from all over the world," explained Fink. "To wine and dine them." The hotel was very grand. The current owners are working to restore the Copper Queen to it's original look. The dinning room has recently undergone renovations. The plan is to return the front desk back to it's original appearance, but there are no plans to do away with the room keys. "I've had guests come in here and say it's been 30 years since I've had a key," said Fink. "We're never going to change that." There are future plans to restore the saloon as well. The same saloon where actors John Wayne and Lee Marvin once had a disagreement, ending with The Duke throwing Marvin through a window. John Wayne was a regular guest at the Copper Queen. His favorite room is up the main staircase, on the second floor. Matthew Fink's grandmother used to clean the hotel, and John Wayne insisted she be the one to clean his room. The John Wayne room is the most requested by guests. Next door is the new Harry Houdini room. Also very popular, the Teddy Roosevelt room. Before he became the 26 th President, Roosevelt was in Bisbee visiting fellow Rough Rider Buckey O'Neill. The Copper Queen is even more famous for the guests who checked in, but never checked out. It is said there are 16 spirits haunting the hotel. Spirits like Julia Lowell, a lady of the night who took her own life after being rejected by her true love. Guests report smelling sweet perfume. Men have had their feet tickled as they slept in room 315., and there have been reports of the words "I can see you" in the steamy bathroom mirror. "I've had three guests race out of the hotel at night," said Fink. "They says they'll never stay in that room again." On the forth floor, guests may find a mischievous ghost named Billy. Legend says he drowned in the nearby San Pedro River, and came back to find his parents who worked at the hotel. He is known to hide guests shoes and leave candy wrappers in the room. Guests also report hearing a child crying when they turn on the water. Over the last 50 years, guests have filled nearly a dozen ghost books with their own stories of unexplained events. Just another chapter in a hotel that is "Absolutely Arizona."